Home / ARTEFACT / Orbit Books / THE LAZARUS WAR / Writing / Another Barnes & Noble promotion on ARTEFACT! Another Barnes & Noble promotion on ARTEFACT! Some more news from the US today. The good people at Barnes & Noble recently ran a bookstore “buy two, get one free” promotion on ARTEFACT. The great news is that this promotion has now been extended to the B&N online store, www.bn.com, as well! 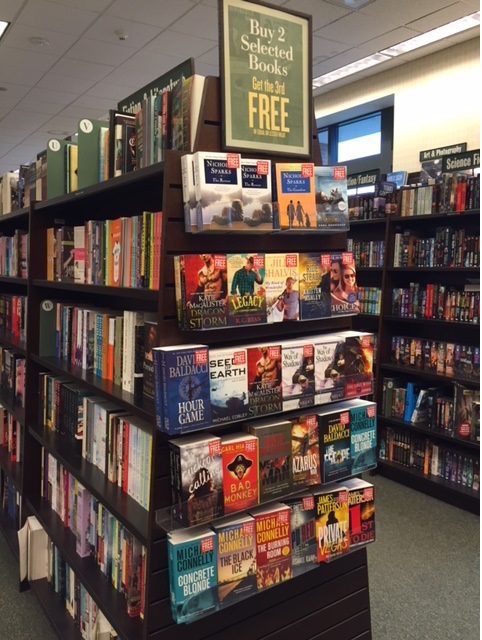 You can check out the promotion here, and as you can see there are many other titles to choose from. The promotion runs until 5th September 2016. Meanwhile, if you’ve enjoyed ARTEFACT then don’t forget that LEGION – the second book in the series – is also out now in paperback, ebook and audiobook.